Adele is the driving force behind Nutmeg Studio. With her back ground being sign writing it will come as no surprise that her creative designs have incredible detail and such a high quality. 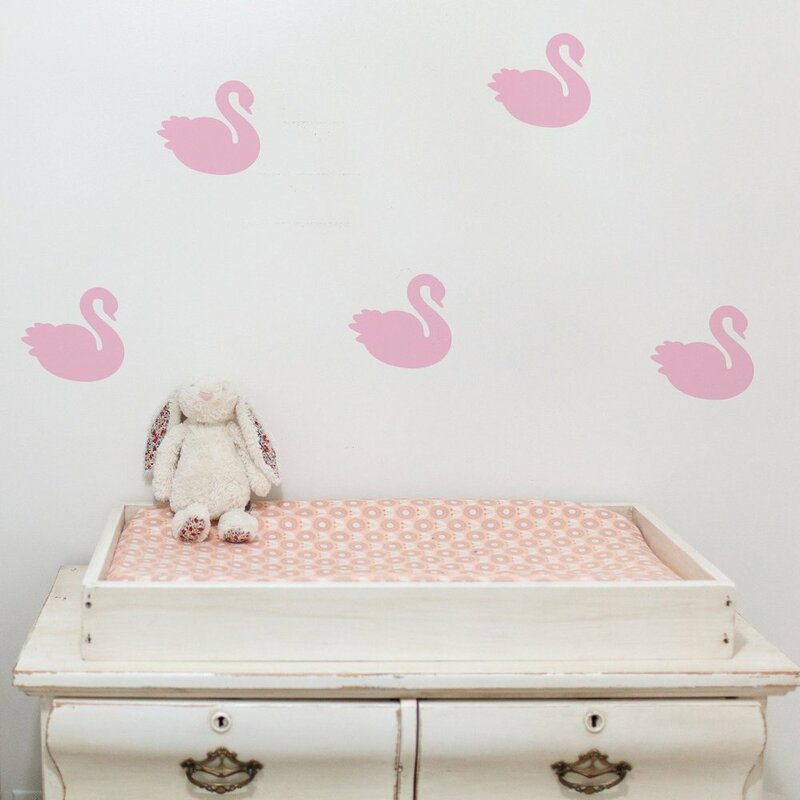 From the cutest swans or monochrome pine trees for your little ones play room, to positive affirmations. I'd love a pop of neon for our kitchen, adding something a little unexpected to your living space that makes you smile. The Nutmeg collection is huge. With collaborations such as the one below with Sas & Yosh, Adele has taken her skills to bring the intricate details and vivid colours of some incredible kids brands creating something encompassing their signature styles. With these skills at Nutmeg Studio they can create something bespoke, individual to you, your home. What better way than using something that are so ingenious and fast to put up that leaves no mess behind to add that pop of colour, fun, individuality? Mama Win! !